We have already talked about the Android console, smartwatch and new Nexus Q that Google is apparently working on, reportedly intending to launch at least one of them this fall, so now it’s time to talk about Key Lime Pie. Without specifically naming the next version of Android, the WSJ does say it’s known as “K release” internally – Key Lime Pie is expected to be the name of the next major update, although that’s yet to be confirmed. 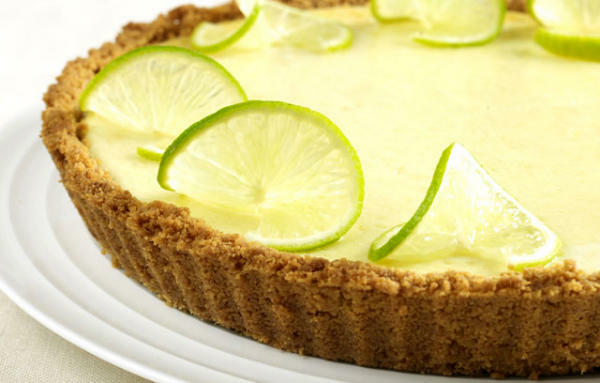 However, the publication did not mention a number for it – Key Lime Pie is expected to be the name of Android 5.0. Google surprised everyone at Google I/O by not announcing a new Android update. Since before the developers conference, word on the street suggested that Android 5.0 Key Lime Pie – which was initally expected to arrive at I/O – was not going to be the next Android update. Instead, more and more indirect evidence pointed to another Jelly Bean version, Android 4.3 Jelly Bean. However, Android 4.3 is yet to be unveiled. Getting back to the WSJ report, the publication says that “K release” is expected this fall, with the company “[wrapping] up development on the next version of Android,” as it focuses on hardware. That’s definitely a very interesting detail and, if true, falls in line with some rumors that said Google held off releasing the next major Android update to allow more devices to be updated to Jelly Bean. According to Google, the majority of Android devices currently being used rely on a version of the software released in 2011 that has fewer capabilities than newer releases. Some industry experts say that the most recent versions of Android are better for higher-end devices than lower-end or older ones that had, for instance, 512 megabytes of memory. The coming version of Android is supposed to remedy the issue, said people familiar with the matter, and also help mobile app developers focus on optimizing their apps for fewer versions of the software. By improving its core services – at Google I/O has focused on products including Search, Maps and Google+ – the company is already taking necessary steps to offer a better experience to consumers and developers across platforms. But should “K release” be compatible with low-cost devices, Google would be able to accomplish something it hasn’t really been able to do before. Naturally, users will still be at the mercy of OEMs and carriers when it comes to updates, but some of them will be able to take matters in their own hands knowing that their old device can run a newer version of Android. This is in line with Google’s motivation behind its need to dominate the mobile ecosystem: search and ads. While helping connect even more people to the Internet, Google will make money in the process from its web-based services that come bundled with Android, or are available on competing platforms such as iOS or Windows Phones. And what better way to compete in such markets than by launching cheap devices running a new operating system? In addition to supporting low-cost smartphones and tablets, the new Android release should also support laptops and desktops – that’s not a secret anymore, is it? – but also other devices such as home appliances. Just like before, we’ll advise you to take everything with a grain of salt even if it comes from a trusted publication such as the WSJ. Google is yet to announce its next-gen Android OS versions, so we’re bound to see plenty of similar reports in the mean time.